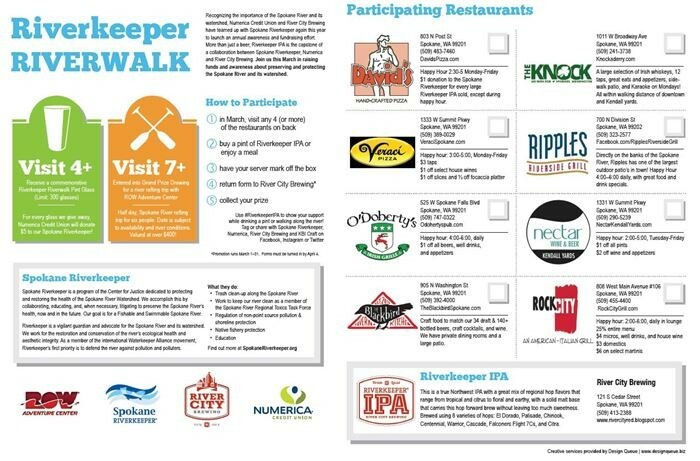 Pick up a version of this Riverkeeper Riverwalk checklist in the current Inlander or at the listed restaurants. Throughout the month of March, each time you visit any of eight Spokane restaurants (listed below) and drink a beer (but not just any beer), you'll be aiding efforts to keep the Spokane River a healthy, thriving waterway. Kicking off this Friday and running through March 31, the inaugural Riverkeeper Riverwalk campaign is a fundraising and awareness event that benefits lovers of local beer, local businesses and the Spokane River. It's a win-win-win. To partake in the campaign, visit any of the following eight bars and restaurants — all appropriately located very near to the river's edge — to trigger a donation to the Spokane Riverkeeper by ordering a meal or a pint of River City Brewing's newest version of its Riverkeeper IPA. The 2016 Riverkeeper IPA launches this Friday, having been updated with eight hop varieties from its previous version. Veraci Pizza, 1333 W. Summit Pkwy. O'Doherty's Irish Grille, 525 W. Spokane Falls Blvd. Nectar Wine & Beer, 1331 W. Summit Pkwy. Even better, those who pick up a special check-off sheet that was distributed in this week's Inlander can turn it in after visiting at least four of the eight restaurants to get a commemorative pint glass from River City Brewing. Visit at least seven of eight places and you'll also be entered into a drawing for a river rafting trip from ROW Adventures. The check-off sheet is also available at participating restaurants and an event launch party at the downtown Numerica Credit Union branch (Friday, March 4, from 5:30-8 pm) that features Spokane River photography by Charles Gurche. For each of the 300 pint glasses being given away during the campaign, Numerica has pledged to donate $5 to the Spokane Riverkeeper. If all are distributed (which we imagine won't be hard to do) that's a total of $1,500, not to forget the donations from participating restaurants. 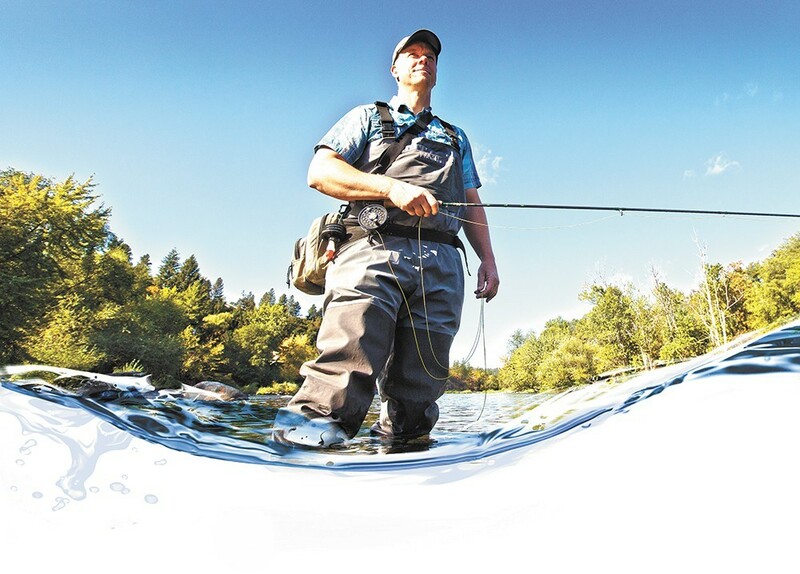 The Spokane Riverkeeper, a program of the Center for Justice overseen by the actual Riverkeeper, Jerry White, is tasked with protecting and preserving our region's landmark waterway. The Riverkeeper is responsible for, among many other efforts, helping clean up trash along the river, protecting native fish species, regulating and preventing pollution and educating the public about the importance of protecting the Spokane River.